The Aldersgate conference is a yearly, family event held by Aldersgate Renewal Ministries. ARM encourages dialogue within the United Methodist Church and seeks to interpret the movement of the Holy Spirit to the rest of the church, and the rest of the church to the renewal movement. We celebrate the richness of our Wesleyan heritage and history, recognizing that John Wesley's theology of grace is in fact a theology of the Holy Spirit. To learn more about Aldersgate Renewal Ministries, please visit our main website. Each year, Christians from all over the world gather to fellowship and be equipped to bring the power of the Holy Spirit back to their churches and homes. While we are focused on ministry to the United Methodist Church, you do not need to be a Methodist to attend! During our main Worship Celebration sessions, a modern worship band will bring worship through praise. We also have a dance team and a banner ministry who participcate in the celebration. You may see people raising their hands or even dancing to the Lord. There are also workshops offered for those who wish to learn more about dance and banners in ministry. We usually have a wide range of speakers from many different backgrounds who bring powerful, impactful teachings. All main session teachings are recorded and DVDs, CDs and MP3s are made available for order or download on our Resource Store. Many times, after a time of teaching, we will have ministry time. This involves trained ministry teams of 2 people each, waiting to pray for any need you may have. Feel free to get prayer and linger at the front until God is done working on you. During the afternoon on Friday and Saturday we offer Equipping Workshops. These are taught by a mix of new speakers and friends of ARM who have been with us for years. They are from all kinds of backgrounds, from lay people to those with multiple Doctorate degrees. Topics usually include inner healing, outreach, wholeness, prayer, dance and banners in your church (plus other relevant topics). Most workshops are recorded and CDs and MP3s are made available on our Resource Store. Adult Ministry is designed for adults to experience transforming growth, through the love of the Father in the power of the Holy Spirit, through authentic worship celebrations, powerful keynote speakers and dynamic workshop sessions. Bring your church staff, Bible study group, and Sunday school class. Lay leaders will walk away feeling empowered with new vision and training to grow your church. We want you to have a passion and vision beyond the walls of your own church to see every church proclaim and demonstrate the Gospel in the character and power of Jesus Christ. Get ready to be blessed by some of the best of the best in the United Methodist Church. Lay Servant Credits - $10 payable when you register online or on the registration form. ARM is able to provide Lay Servants with a Certificate of Completion confirming their participation in ten hours of teaching at the Aldersgate Conference. Four Equipping Sessions and 3 worship sessions will be chosen by the participant will be recorded on a form that will be emailed prior to the conference. Lay Servants wishing to receive credits will need to take this certificate to their District Lay Servant representative to determine if they can receive credit in their Annual Conference. All certificates will be mailed or emailed out following the conference. The Gate Youth Conference is the youth portion of the Aldersgate Conference for rising 7th graders through graduated seniors in high school. Our mission is to impart the Father's true identity to today's youth and equip them with the tools to walk out their identity and destiny in the power of the Holy Spirit. The Gate Kids Ministry is a ministry of FUN in the Holy Spirit! Age appropriate learning experiences for preschool through elementary age world changers will worship, create, and learn about how they can be filled and equipped in the power of the Holy Spirit. The nursery for your little world changer will include an atmosphere of love and the Holy Spirit. ARM is committed to the safety and security of all minors (under age 18) attending Gate Kids at the Aldersgate Conference, and all our workers are screened. Once registered, parents of Gate Kids attendees will receive a letter and forms to read, fill out, and bring to the Conference. Forms will be available in May. We welcome senior pastors, associate pastors, deacons, church staff members, youth pastors, missionaries, all kinds of clergy to the Aldersgate Conference! If you come feeling empty we believe that the Holy Spirit will fill you up at the Aldersgate Conference. If you come wounded we believe the Holy Spirit wants to heal you at the conference. If you come already on fire for God we believe you will receive even more--more fire, more revelation, more power, and more impartation. You will hear great speakers in general sessions and workshop sessions. You may worship freely, without having any responsibilities during the worship times. You will have opportunities to receive prayer. This is an opportunity to take your ministry to a whole new level! 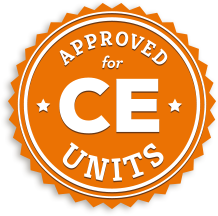 CEU Certificates: $20 payable when you register online or on the registration form. Aldersgate Renewal Ministries offers up to approximately 2.0 Continuing Education Units for the Aldersgate Conference, if one attends everything. These sessions can be a valuable part of your ongoing plan for continuing education with your District Superintendent and Board of Ordained Ministry. You might check for available continuing education funds to help you come to the Aldersgate Conference from your Board of Ordained Ministry and your local church. Aldersgate Renewal Ministries has some limited scholarship funds and might help after other sources of funds have been used. Once you have paid for the CEU Certificate with your registration, a form will be emailed to you prior to the conference to bring along and then turn in on Saturday evening or Sunday morning of the conference. Pastors who host one of our local church renewal events at their church will receive a voucher for a free family registration to the Aldersgate Conference.